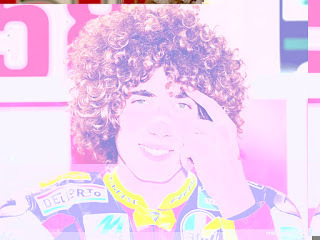 Simoncelli was one of the sport's rising stars, a charismatic 24-year-old who rode with his heart. He was as passionate on the track as he was off, and sometimes that got him in trouble. His was an aggressive style that didn't always suit the venue, but he was maturing as a rider. This season he earned his first two MotoGP podiums and his first two MotoGP pole positions. Only a week ago, he finished a career best second in MotoGP race at the Australian Grand Prix, taking the runner-up spot to Casey Stoner (Repsol Honda RC212V) with a brilliant last lap pass of Andrea Dovizioso (Repsol Honda RC212V). 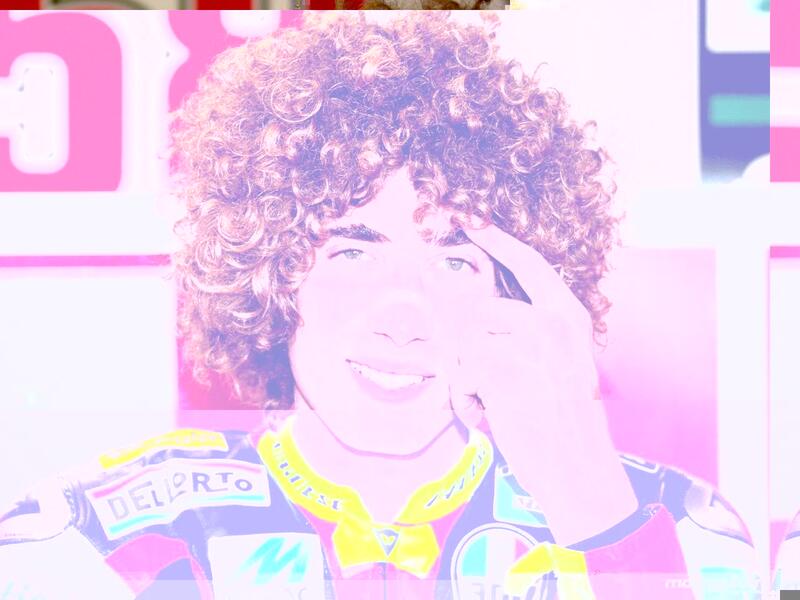 Photos from that day show Simoncelli standing out on the podium, which he also did in life. It wasn't just because he was one of the taller riders in MotoGP, and it wasn't just for the blossoming, bushy hair that paid homage to guitar legend Jimi Hendrix, but it was because of his outsized personality and his passion for winning. The Honda Motor Company family would like to express its sincere condolences to the family of Marco Simoncelli, his team owner Fausto Gresini, his team, his legion of friends, and his thousands of fans throughout the world. He will be missed. Shuhei Nakamoto, HRC Executive Vice President, says "I just don't know what to say; words escape me. Marco was a very nice guy and a very talented rider. Sometimes I was a little harsh with him, for example after his first MotoGP podium in Brno when I told him, 'Lucky podium!' and he was so angry, but I wanted to motivate him as I knew he was able to do even more. I was thinking that when he won his first race we would have been able to celebrate together. Now I just want to say thank you to Marco, for what you gave me, and pass my sincere condolences to his family at this very sad time." Repsol Honda rider Dani Pedrosa says, "In a tragedy like this there is not much to say. I just want to give my condolences to his family and all the people who love him. I've been with his father and all we could do was to hug, nothing else matters. It was a fatal accident and everybody in the paddock remains in shock. Many times we ourselves forget how dangerous this sport can be and when you lose people on the way nothing has any meaning. It's clear that we all do what we like, what we love, but on days like today nothing matters." Repsol Honda rider Andrea Dovizioso says, "In these circumstances, words don't seem to be appropriate. I think of Marco's family and all the people dear to him, in particular his father and mother. I also have a child and what happened today is the hardest situation you can imagine. I watched the images and I'm shocked. In a race you fight and push hard and disaster is often around the corner. Marco was a strong rider and he always pushed hard. We raced together since we were kids. I saw him always pushing to the maximum, he crashed many times, but without major injuries, he was seemed invincible. What happened today seems impossible." Repsol Honda rider Casey Stoner says, "I'm so shocked and saddened by the loss of Marco. When things like this happen it reminds you how precious life is, it makes me feel sick inside. All I can say is how sorry I am for Marco's whole family I can't imagine what they are all going through and our thoughts and wishes are with them at this time. I hope they all stay close and pull through this tragedy together." 0 Response to " The Honda family mourns one of its own "